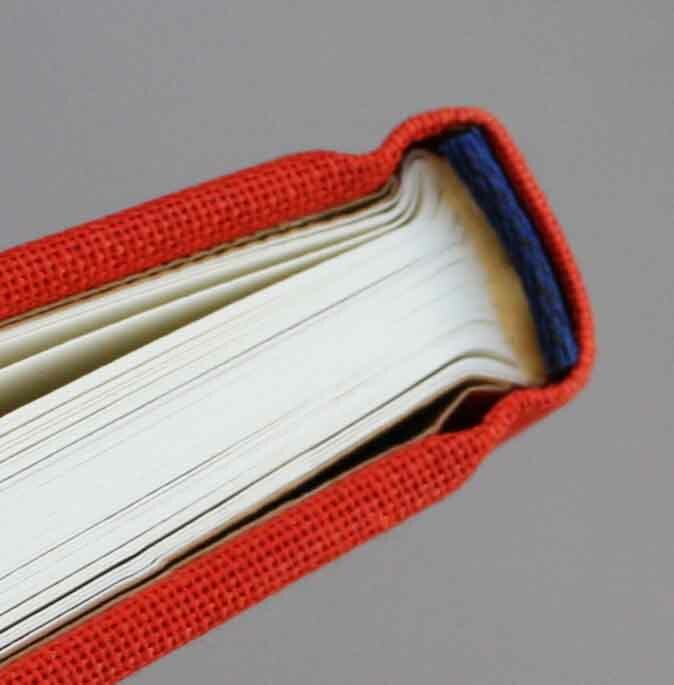 inspiration from letters: A wonderful book. 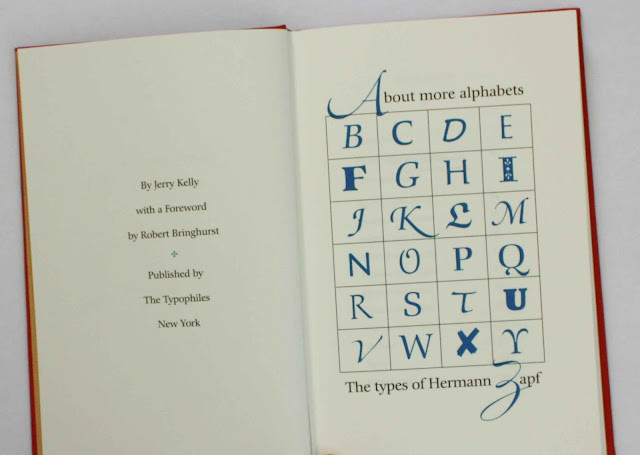 I'm a big fan of Hermann Zapf! 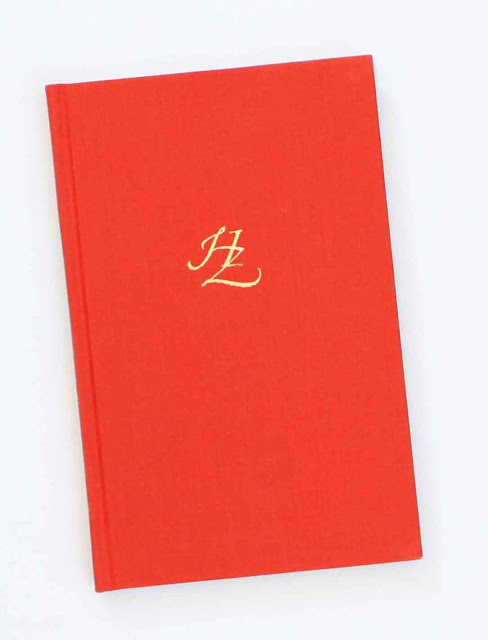 The little red book - About more alphabets The types of Hermann Zapf - is totally wonderfully delightful. 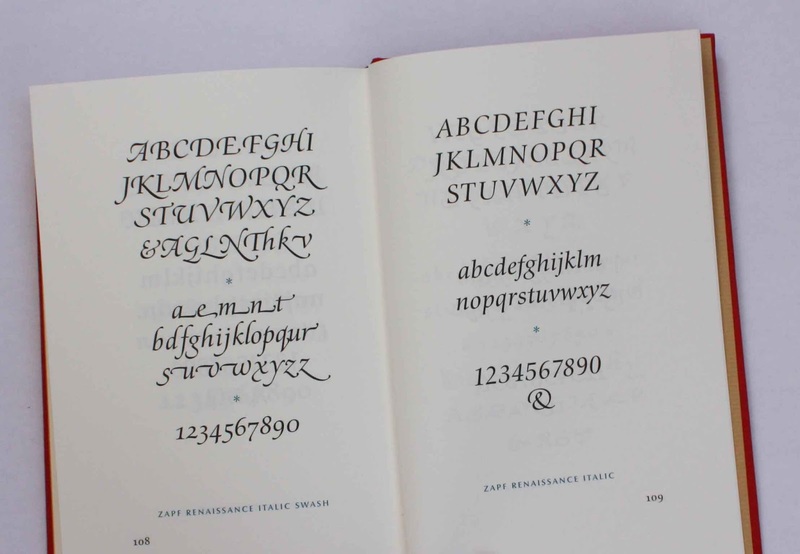 It has a nice text about Zapf the type design he has produced.